a place where you’ll fall in love with them. 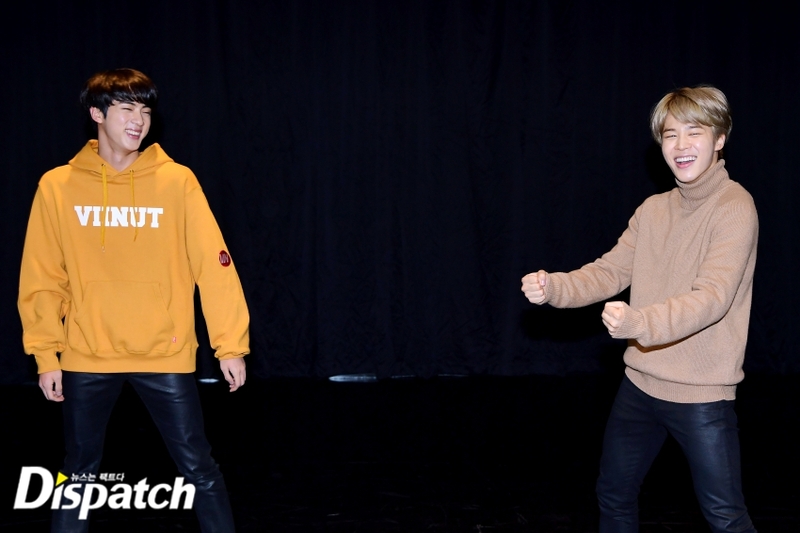 It’s the solo performance of JIN and SUGA. 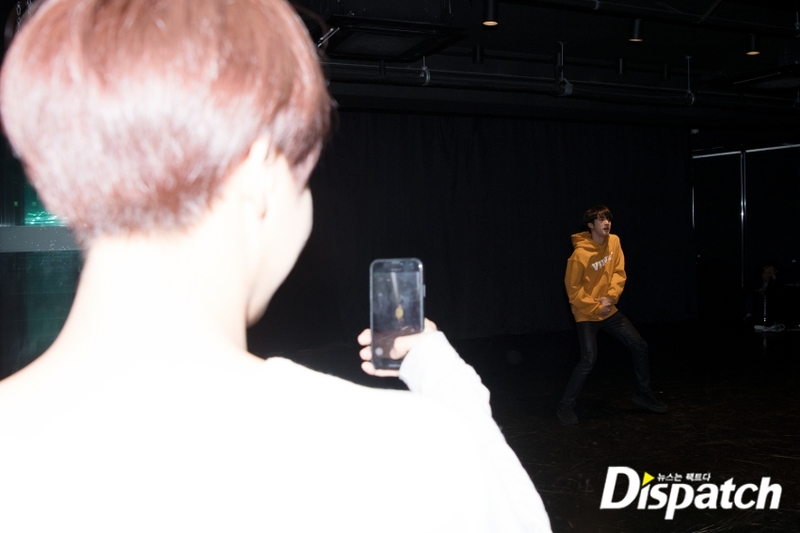 When the Dispatch team brought out the camera, V and JIMIN brought out theirs too. In other words, these are rare photos. 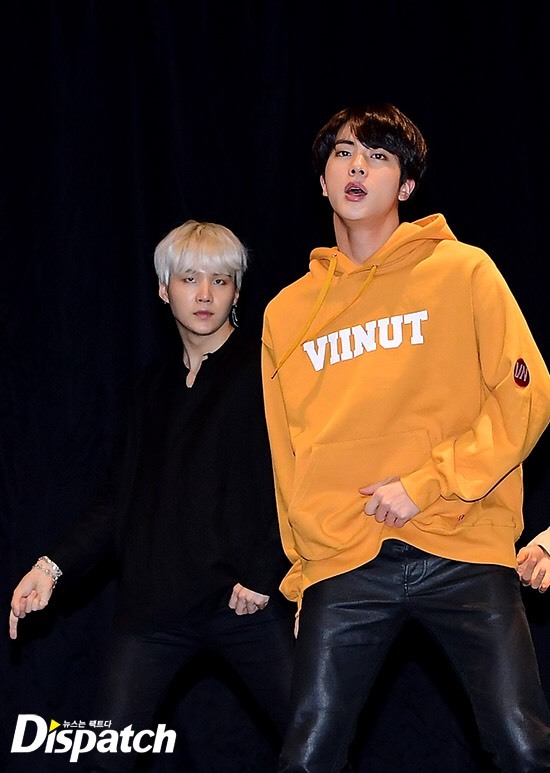 BTS’ JIN and SUGA are the oldest members who are loved by the members. They are the reliable ones. Actually, they are not borne to be performers. They were not interested in dance. But it’s different now. They’ve really let out their blood, tears and sweat to result in this powerful dance. 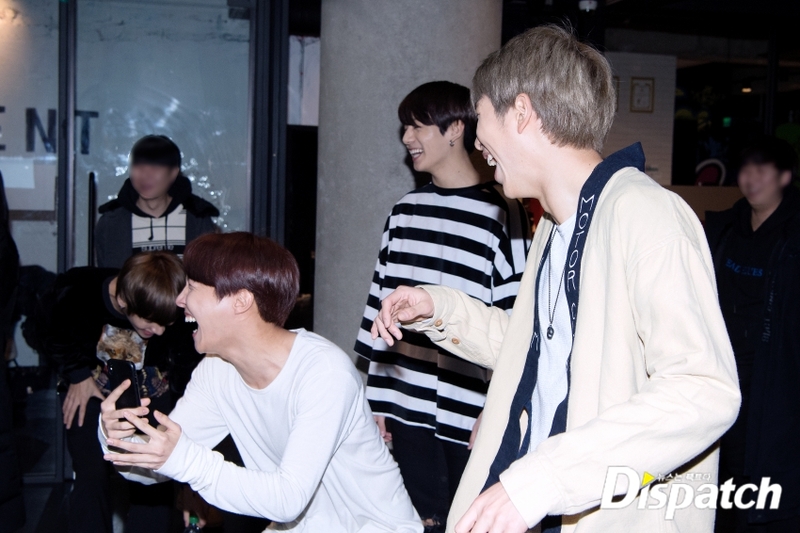 The others (RM, J-HOPE, V, JIMIN and JUNG KOOK) seem to be amazed with them. 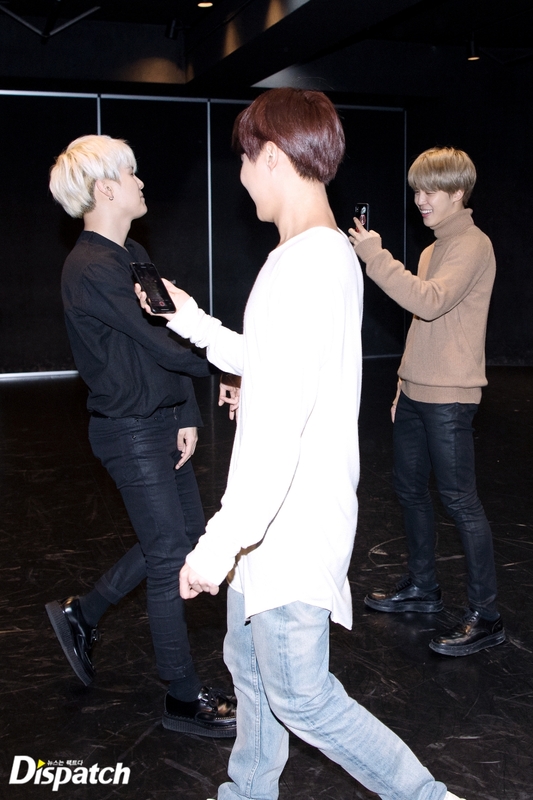 So they are busy supporting for JIN and SUGA when they start dancing. They went like that this day. 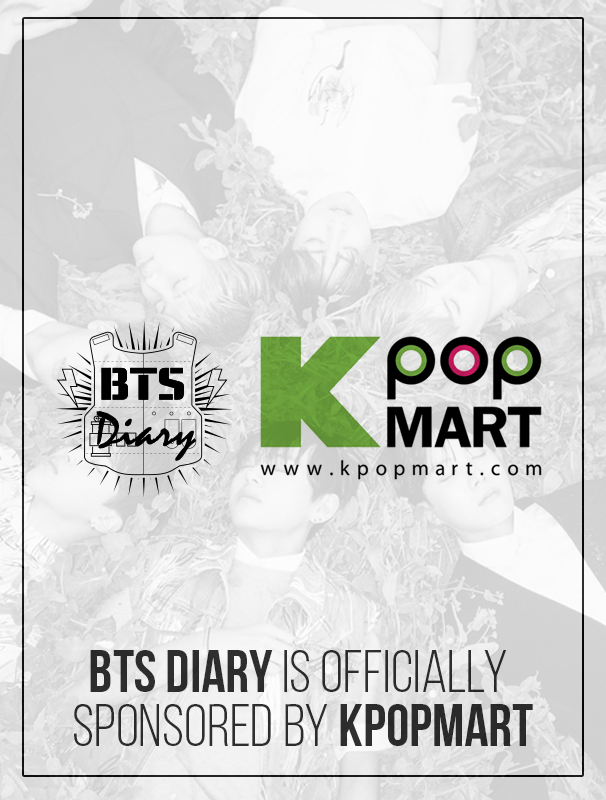 Dispatch met BTS on Jan. 21. 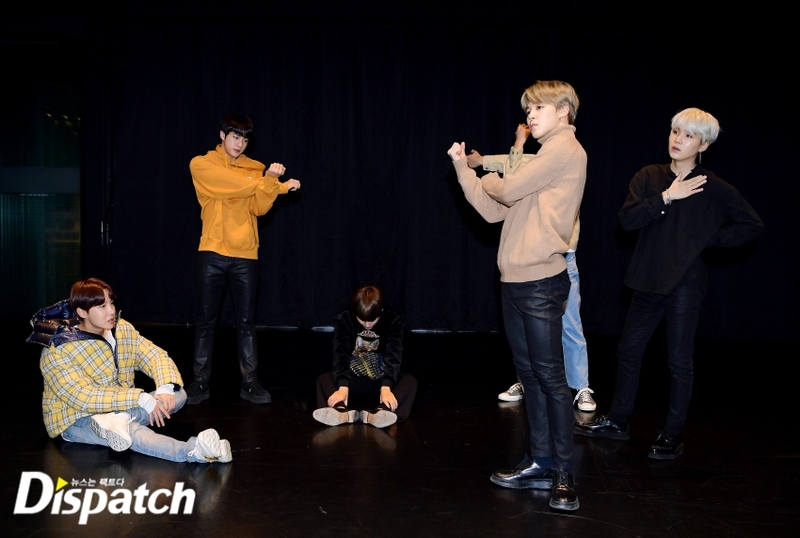 We highlighted the choreography of “Best Of Me”, one of the tracks in their mini album. This is a song composed by a world-renown artist Chainsmokers. RM, SUGA, and J-HOPE added some lyrics in it. “Best Of Me” was first performed during the fan meeting on Jan. 13. Its powerful dance had gone feverish among the fans. Do you want to watch it again? Then here it is. We prepared a civilian wear version of it. We’ll introduce it in Part 1 and 2. 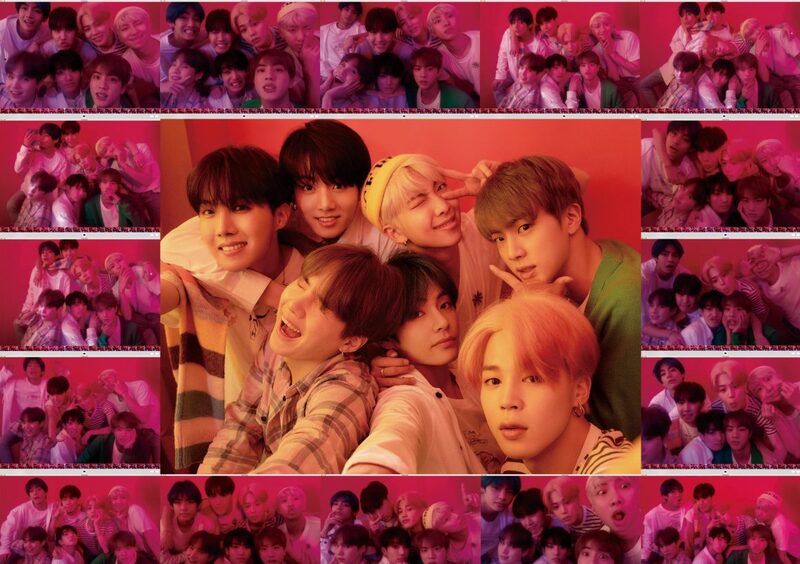 These are the difficulty told by BTS. “This dance is the hardest one among all our dances. It was choreographed by a foreign choreographer and director Son Sung Deuk. 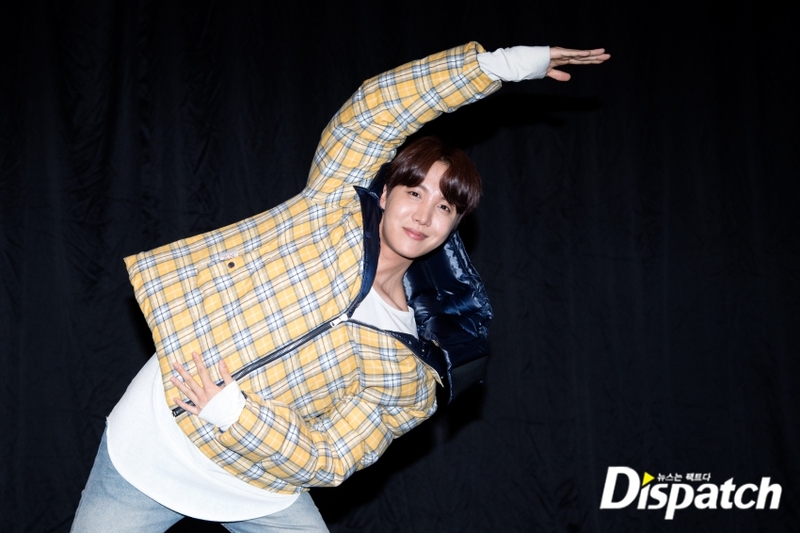 We’ve learned it 3 hours a day despite our busy schedule.” (J-HOPE)So you should warm up your body before dancing to this song. They warm up in different ways when the camera is on and off. The boys are getting prepared 24/7. They can do powerful dance anytime, anywhere. They’re done with the warm ups. It’s time to look at their moves. When can we see it properly? The Part 2 will be released on this coming 31st. Just wait for a little bit more.